Personal Injury Protection Coverage: Who Needs it? | The Law Offices of Flint & Soyars, P.C. Personal Injury Protection Coverage: Who Needs it? Personal injury protection is designed to help you with medical bills and other financial problems that occur following a car accident, but not everyone is familiar with it. It’s commonly referred to as PIP, and that’s how attorneys in Texarkana TX refer to it when they speak with their clients. One of the most commonly asked questions regarding personal injury protection coverage is regarding the kind of drivers who need it. Not everyone has the same car insurance needs, after all. With that in mind, which drivers should consider this kind of coverage? PIP is the kind of insurance coverage provided by your agent when you are involved in a car accident. It’s designed to help you with your medical bills as they begin to pile up following an accident in which you are severely injured. This kind of coverage doesn’t cover only you, though. It covers everyone in your vehicle when you are involved in an accident. The accident doesn’t have to be your fault, either. You can use your PIP coverage if you are the victim of someone else’s negligence, and you can use the driver’s PIP if you are the passenger in their vehicle when an accident occurs. What makes this kind of coverage so beneficial is that insurers usually cut checks a lot faster than they do when they come from the other driver’s insurance. You’ll get your money in the bank a lot faster, which means you’ll experience less stress handling the kind of instance in which you’re able to have income despite not working due to your injuries. There is no court case required to get this kind of payout, either. The only thing PIP does not cover is pain and suffering. Pain and suffering is a damage that can be sought following an accident, but only if you take the time to file a personal injury lawsuit. If you or the driver or the car in which you are a passenger is under the influence of any substance when an accident occurs, the insurance company might make the decision to deny a payout to the driver and his or her passengers due to personal carelessness. Everyone should consider this type of coverage. It offers much-needed personal financial protection following a car accident. It’s impossible to know what kind of damages might occur in an accident. You never know when a car accident might occur, how bad the injuries might be, or if you will have passengers in the car with you when it happens. According to laws in your state, there are some people required to have this kind of insurance protection. Thirteen of the fifty states require drivers carry PIP coverage, though the laws are different regarding how much in each state. In the remaining 37 states, there are other rules that apply to this kind of coverage making it entirely voluntary. In addition to requiring drivers carry PIP in various amounts, each of these states with the exception of Oregon is a no-fault state. The cost for each type of this insurance varies greatly from state to state as well. If you live in a state that doesn’t require this kind of coverage, you aren’t required to pay for it. However, it’s recommended you do if you want to ensure coverage when you’re involved in an accident regardless who is to blame for causing it. Yes. PIP is potentially one of the most beneficial coverage to have on your insurance policy. Even if you don’t have to have it according to your state laws, you can benefit from having it. 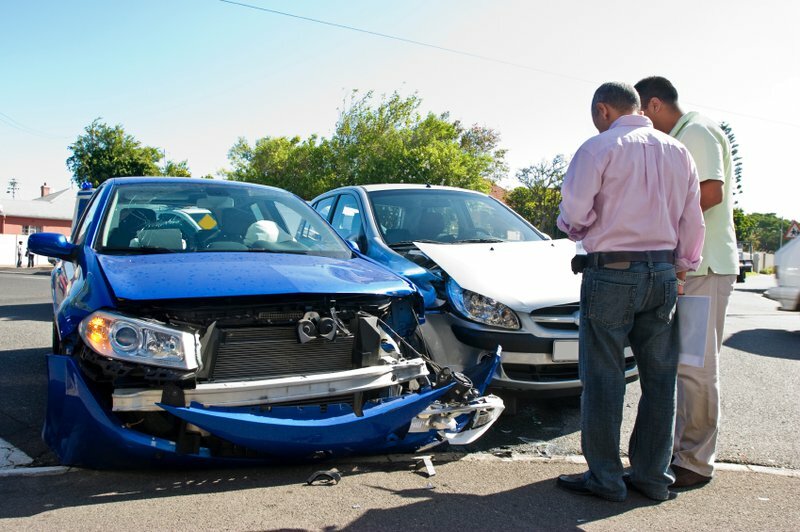 If you are involved in an accident and you have injuries, it kicks in right away. Unlike other forms of insurance, you don’t have to wait for a claim to be processed, for a case to be proved, for the evidence to suggest the other driver is to blame, and to ensure you are able to receive compensation. The rules are different everywhere, but you get to have your medical bills covered right away. It’s beneficial because not everyone has an affordable insurance policy they can work with. If you don’t have high coverage, you might be denied medical care due to your inadequate insurance. If you don’t have the cash to pay for the services you require, you’re going to want to have PIP to help you get through this time without dealing with the financial burden of high medical costs. Is it the Same as No-Fault Insurance? Yes. It is the same as no-fault insurance. It doesn’t matter who is to blame for the accident when it comes to this kind of coverage. There is a payout to the person who carries the insurance no matter the blame, which is a nice feature. It works a lot like no-fault insurance in that no matter who is to blame for any accident, it’s your insurance taking care of you. Not waiting on a claim to go through with another driver’s company is one of the most beneficial reasons to carry this insurance. The other driver’s agency wants to find a way to prove their client wasn’t to blame, and this might mean offering too little, fighting every piece of evidence, and really dragging things out. With PIP, you get the cash you need to cover your medical bills right away. I Have Health Insurance. Do I really need PIP? According to attorneys in Texarkana TX, you do need this even with a good health insurance policy. These two policies work together to ensure your financial obligations are minimal if any. In most states with mandatory PIP coverage, your PIP works before anything else. If you reach the limits on your PIP coverage, your regular health insurance policy kicks in to help you receive the remainder of the coverage you need. In a few other states, these two policies work together. Rather than relying on one before the other, the policies blend together to see how they can best suit your needs. Your doctors are paid, your bills are minimal, and you’re able to get the coverage you need when you’re injured in an accident. In other states, you might see your policies work together to ensure you’re able to get your health insurance to pay medical bills and your PIP to pay for your lost wages when you’re out of work. Unfortunately, not all of this coverage is enough even when it works together. This is when you take the time to call an attorney to help you with a personal injury case. An attorney is going to listen to your story, talk to you about your options, and work with you to come up with a game plan. If you have exhausted the benefits issued to you through your PIP and your health insurance, you might face even more serious financial complications. This is when it’s helpful to file a personal injury claim against the other driver if they were to blame for your accident. Their insurance agency is then asked to pay damages for what you went through. These are all damages you can seek when you make the decision to file a personal injury claim following an accident. You’re capable of doing this even when you take the check for the PIP coverage and use your health insurance. When someone else is to blame for an accident in which you are injured, you are entitled to seek financial compensation to cover the bills that accrue following the accident. Calling a personal injury attorney is one of the first things anyone should do following a car accident. It’s not a requirement, and you aren’t even required to pay for your initial meeting. Your job is to recover from your injuries and get your life back on track. It’s your attorney’s job to be sure you are able to receive the coverage you’ve been looking for when you are injured in an accident. Call an attorney to discuss your rights.